By: Agatha Christie began making up stories at a very early age. She never obtained any formal schooling but at the mere age of four, she trained herself to read. She went on to work as a nurse during the First World War after which she married Archibald Christie. It was after her wedding to Archie that... View More Agatha Christie began making up stories at a very early age. She never obtained any formal schooling but at the mere age of four, she trained herself to read. She went on to work as a nurse during the First World War after which she married Archibald Christie. It was after her wedding to Archie that she produced her first novel, The Mysterious Affairs at Styles, in 1920. 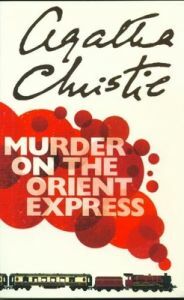 The book featured the character of Inspector Hercule Poirot for the first time. Poirot and Miss Marple, who frequently feature in her novels, are easily the most well-liked characters from her stories. According to the Guinness Book of World Records, Christie is the most successful author till date. Her books have more or less sold about four billion copies and it remains a fact that Christie is the most translated writer of all time. Her books have been translated into more than one hundred languages and have been adapted into movies and plays. On the long train ride from Istanbul to Paris, detective Poirot must find the killer of a much-hated millionaire among 13 suspects with reasons to kill.